Dr. David Dubin graduated from The University of Medicine and Dentistry in New Jersey and then completed a residency in Emergency Medicine. He subsequently worked as an Associate Clinical Professor of Outpatient Medicine at Boston University. After a career of more than ten years in Emergency Medicine, Dr. Dubin founded Cambridge Medical Consultants, providing Occupational and Environmental Medicine consulting to hospitals and corporations. Disenchanted with treating patients primarily with medication, he researched Neurofeedback and found significant improvement in his own brain physiology. Dr. David Dubin started treating patients and saw rapid, meaningful and often dramatic results. Equally remarkable, he found these changes to be enduring. His experience echoed recent research in neuroplasticity demonstrating new possibilities for growth and change within the brain. Dr. David Dubin soon decided to dedicate his career exclusively to the practice of Neurofeedack. 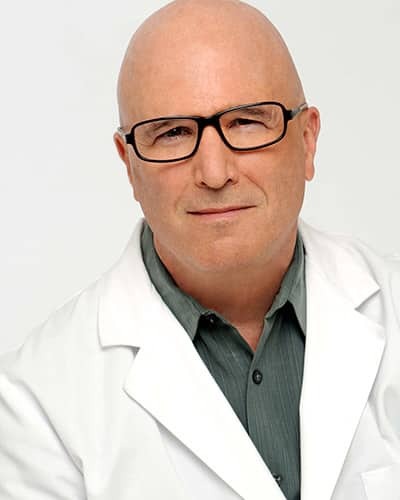 He founded The Dubin Clinic for Direct Neurofeedback for Neurofeedback where he provides Direct Neurofeedback and LENS Neurofeedback to adults, adolescents, and children. Dr. David Dubin was an emergency room physician in Boston for 10 years. Coming to CA he was so impressed by Direct Neurofeedback® that he decided to cease the practice medicine. The Dubin Clinic is specifically for the practice of Direct Neurofeedback and not engaged in the practice of medicine. Parents with children and teens who suffer from depression and anxiety often search for an alternate to drug therapy. Direct and LENS (Low Energy Neurofeedback System) are avenues available not only for youth, but adults as well.